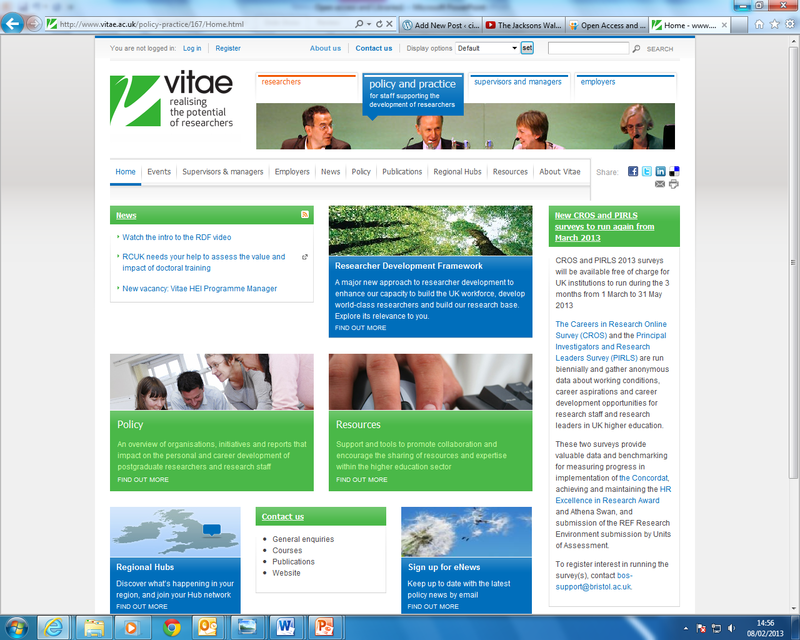 The Vitae website is very useful for promoting the interests and development of researchers. News and events are also advertised. Information about the Vitae Researcher Development Framework is here. Vitae is the UK organisation championing the personal, professional and career development of doctoral researchers and research staff in higher education institutions and research institutes. See the webpage for details of reports, publications and the Vitae Researcher Development Framework.